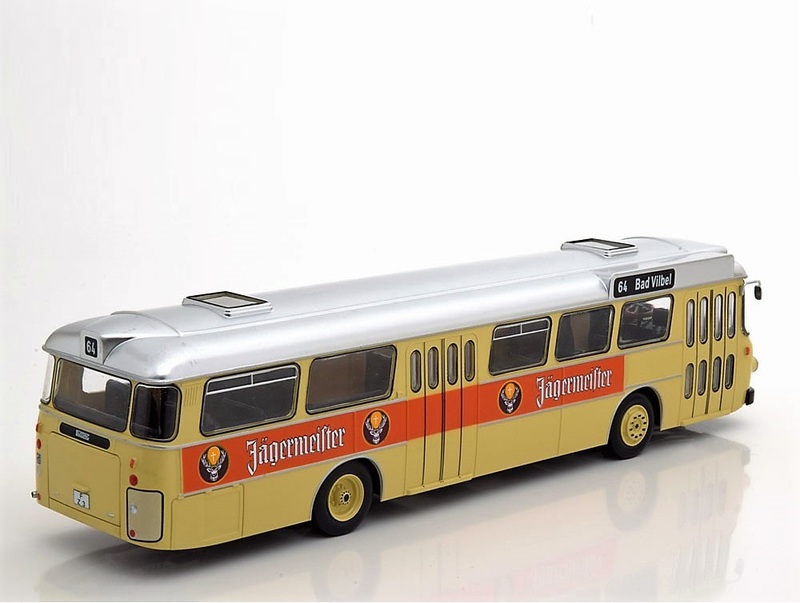 Buessing introduced a new range of bus models in 1959 with their R Series. The first model was the 11R. Subsequent launch were models that were designated 12R, 13R and 15R. The buses further had different model names such as Konsul, Prefekt, President and Senator. 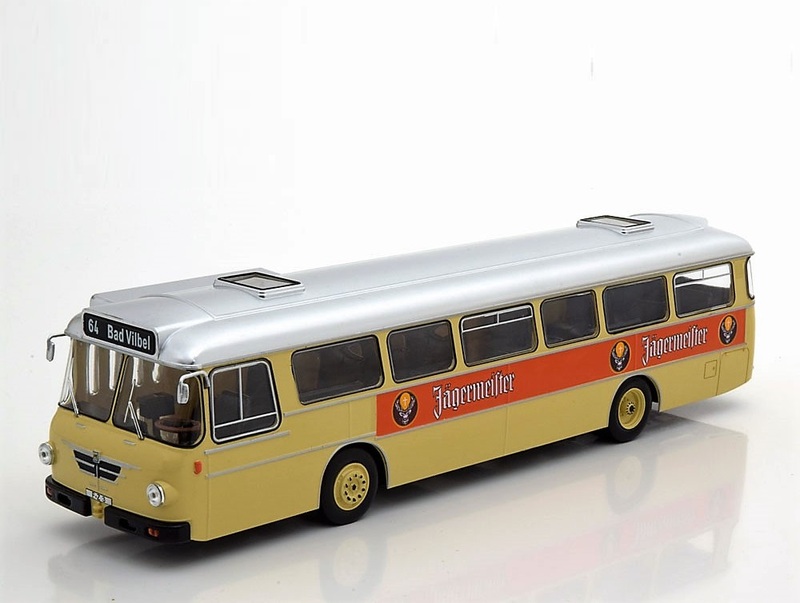 At one time almost 50% of transport buses inside Germany were from this series. Some of the models from the R series continued to be used as late as until 1985. The Senator from the 12R series was designated 12D and was launched in 1965 with an engine that gave 150 HP. Bad Vilvel, Germany is a small city that is known for her hot springs. The bus firm there ran this bus No. 64 between one of the districts called Dorterweil to Suedbahnhof. This bus had the apertif brand Jaegermeister livery on it.